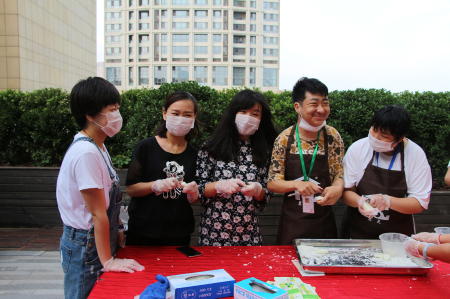 On 7 June, Shangri-La Hotel Tianjin and Diversey launched our ‘Soap For Hope’ initiative with a special sustainable event on the third-floor terrace attended by Shangri-La guests and Tianjin media. 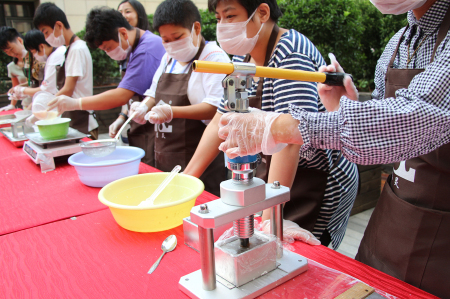 Shangri-La Hotel Tianjin is the first hotel in Tianjin to be involved with the Soap for Hope project, which aims to reuse hotel soap in order to improve the sanitary environment in impoverished areas of Asia and Africa. We are delighted to be involved in this important project as part of our corporate social responsibility and commitment to sustainable development. Soap for Hope collects and recycles used soap from the hotel, which is then sanitized, reprocessed, dried and packaged as a new 180g soap bar for donation. The entire process does not consume water or electricity and the resulting soap is 100% hygienic. The reused soaps are distributed to communities and schools in impoverished areas to reduce disease while increasing health and hygiene awareness. 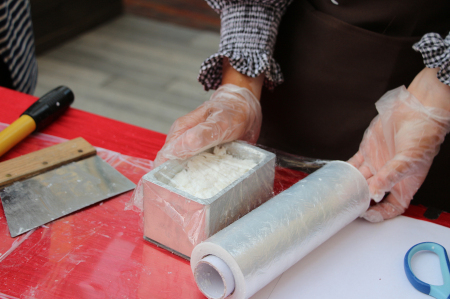 During the hotel launch event, participants made their own soap bar and enjoy other healthy lifestyle activities, including nutritious snacks and yoga sessions. 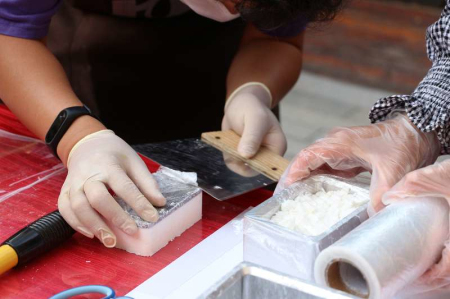 By taking practical action, we can all do small things that offer big benefits to people in need, and work together to create a better world – one bar of soap at a time. Please join us in living sustainably!